Two close-up images of the flowers of claspingleaf twistedstalk as seen along small streams crossing the Lookout Mountain Trail #804 on the north-facing slopes of Lookout Mountain, Ochoco National Forest..........June 25, 2017. 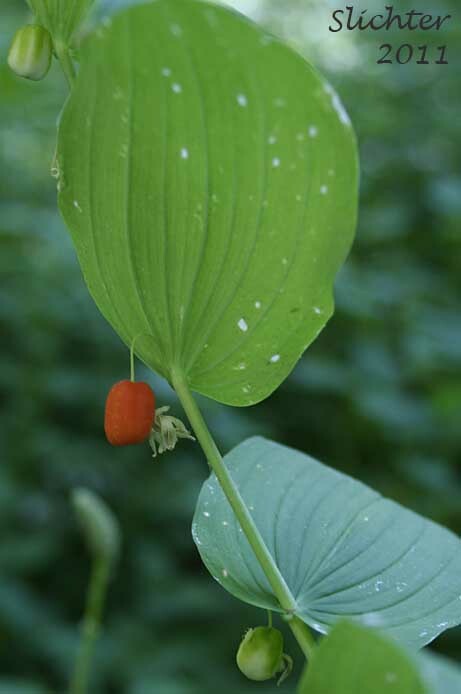 Clasping-leaf twisted stalk is an erect, rhizomatous, perennial wildflower. The stems are succulent in texture and 50-120 cm long. 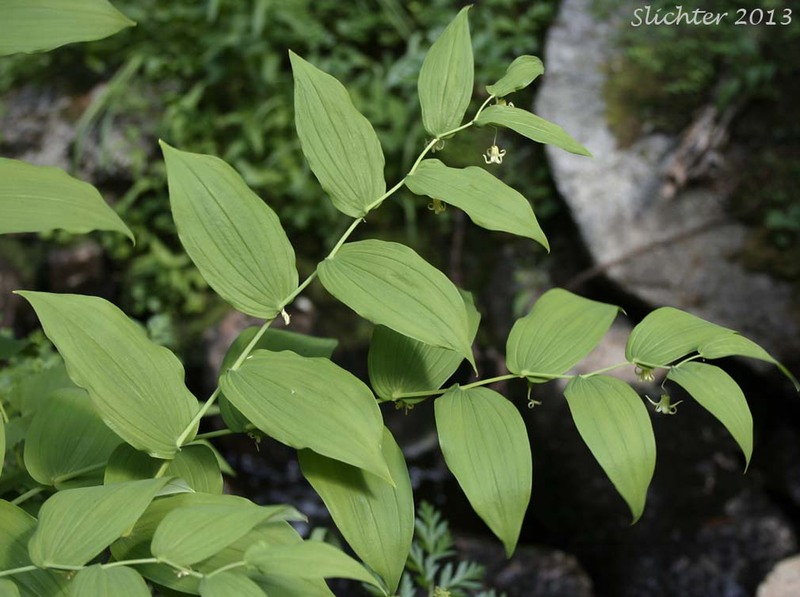 The stems are twisted noticeably in a zigzag pattern and are freely branched. The herbage ranges from glabrous to fairly pubescent with thick, rigid hairs on the lower stems. 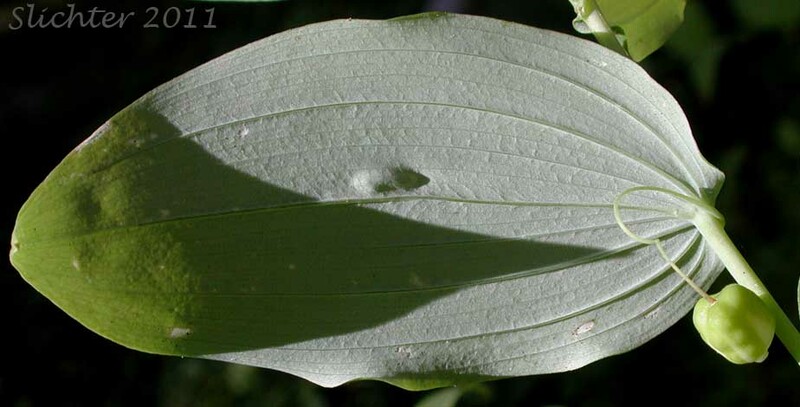 The leaves alternate along the stems and are oval to oblong-lanceolate in shape with parallel venation. They measure 5-14 cm long and 3-7 cm wide and have clasping bases (Those of rosy twisted stalk do not clasp the stem.). 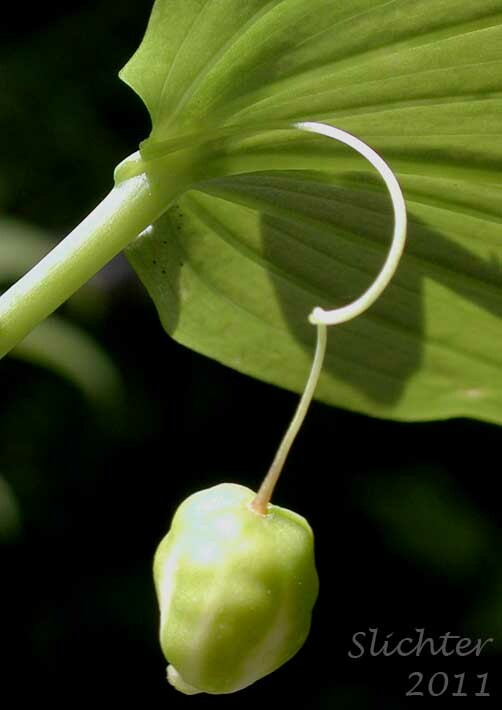 he stems, leaves and roots of clasping-leaf twisted stalk was used by Native Americans as a scent and was also used on fishing nets to improve the catch of fish. 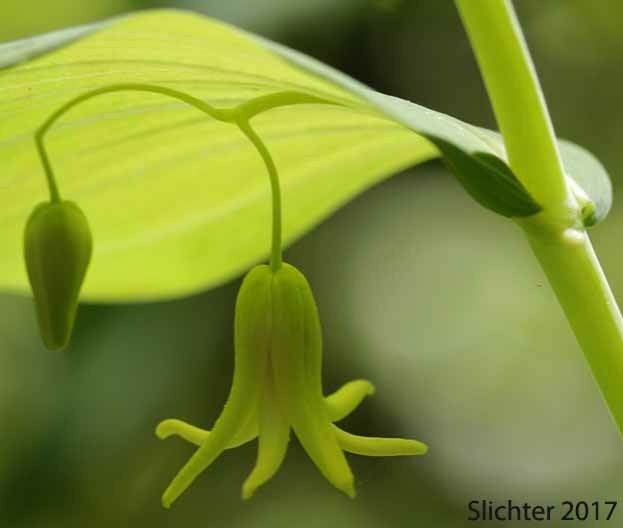 Similar species include rosy twisted stalk, fairy bells and wortleberry, star-flowered false Solomon seal, and false Solomon seal. 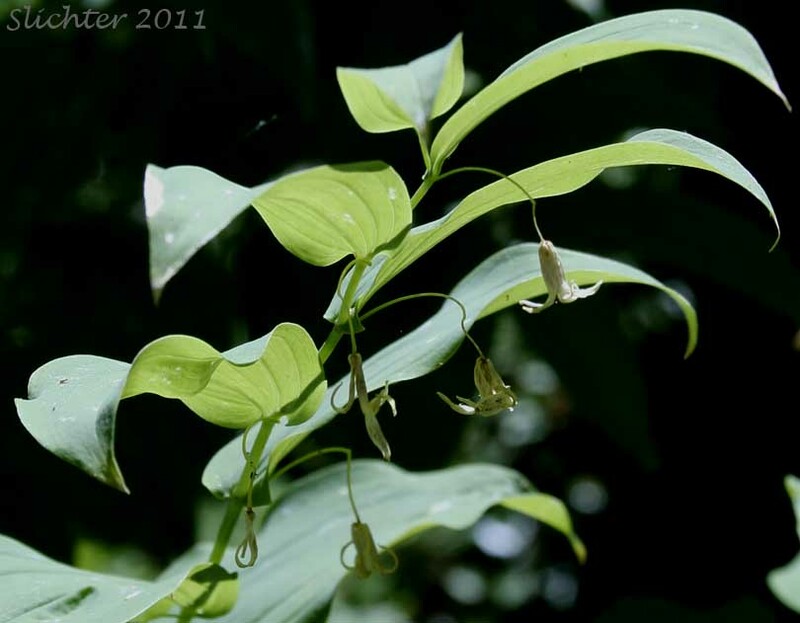 Clasping-leaf twisted stalk may be found along streambanks, and in moist forests. 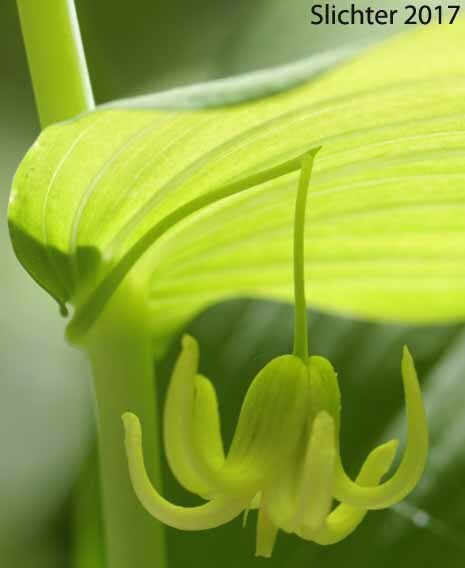 Clasping-leaf twisted stalk may be found from Alaska south to California and and east through forested or mountainous areas of much of Canada and the United States. Claspingleaf twisted stalk as seen along a small stream flowing between Hoffer and Anthony Lakes, Wallowa-Whitman National Forest.........July 25, 2013. Additional close-ups of the flowers and maturing fruits of clasping-leaf twisted stalk as seen at Little Pine Creek along the Canyon Mountain Trail #218, Strawberry Mountain Wilderness............August 19, 2011. 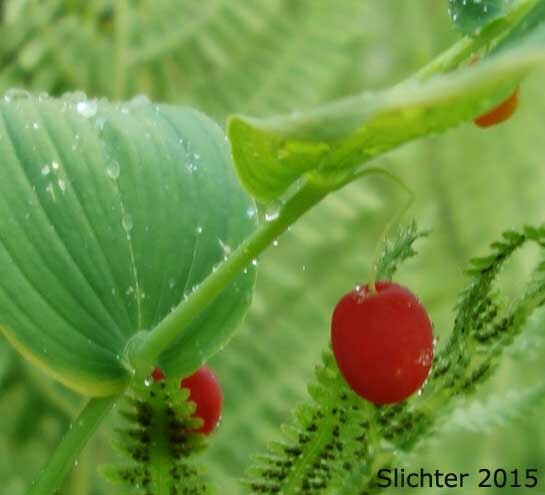 Fruit of clasping-leaf twisted stalk as seen in wetlands along the Lake Creek Trail #378, Strawberry Mountain Wilderness...........August 10, 2015. 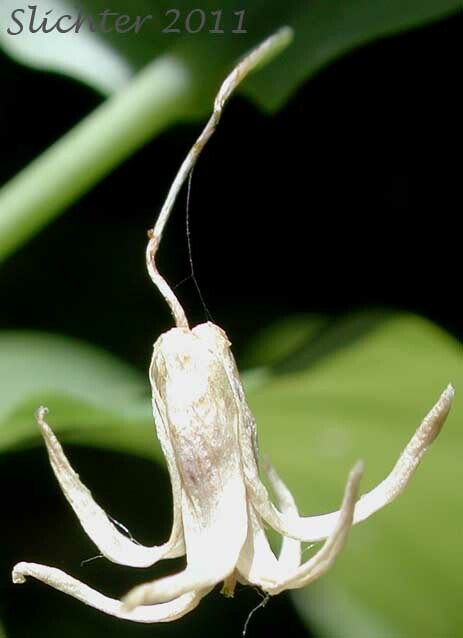 The spider-like flower of clasping-leaf twisted stalk are reminiscent (at least in shape) of those of fairy bells, but are much smaller and found along the stem rather than at the tips of the stem like those of fairy bells. Photographed at Little Pine Creek along the Canyon Mountain Trail #218, Strawberry Mountain Wilderness.......August 19, 2011.